Acting Inspector General of Police Muhammed Adamu, has appointed six new Deputy Inspectors General of Police (DIGs). The new DIGs who were elevated from Assistant Inspectors General (AIGs) are Usman Tilli Abubakar, who joined the police from Kebbi State in February 1986; Abdulmaji Ali, who joined the police from Niger State in February 1986; Taiwo Frederick Lakanu, who joined the police from Lagos State in February 1986 and Godwin Nwobodo, who joined the police from Enugu State in 1984. Lakanu was the Force Secretary until his appointment. The new DIGs were named yesterday morning, police sources said. Their elevation comes a day after Adamu retired seven DIGs who were his senior in order to pave the way for the constitution of a new management team with whom he could work comfortably. The affected officers were Maigari Dikko, the DIG in charge of Finance and Administration and Habila Joshak, the DIG in charge of Operations. The seven officers were among 15 senior officers reported were likely to be retired on January 17. 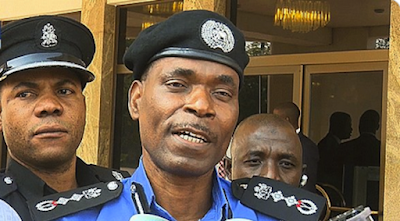 The seven DIGs and eight Assistant Inspectors-General were identified as having joined the police before Adamu, who was appointed on January 15 after the former IG, Idris, was retired as he attained 60 years. Adamu has now followed the tradition, which has been criticised as wasteful and demoralising because of huge resources the nation had spent on the vast knowledge the senior officers had acquired over the years.